Athlone Lawn Tennis Club was founded in 1885 and was first located in the Garden Vale area of the town on private grounds. During it's infancy it ran the Uisneact Cup Competition. The first editions of Irish Lawn Tennis Handbooks do not mention a club in Athlone. This indicates the exclusivity of the early club. 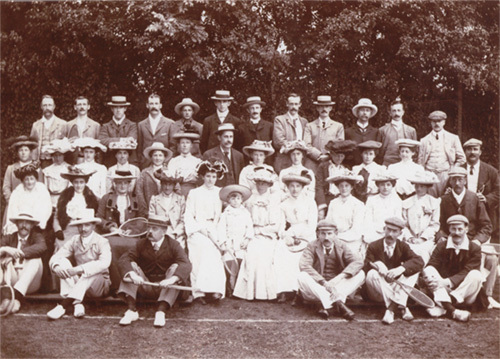 In 1886 the club ran a week long tournament and a Mrs Sticks won the ladies competition. In 1889 the club played against Tullamore LTC, the match ended in a 4 all draw. Athlone were deemed winners as they won 11 sets to 10. It is not certain if this club died out but before 1950 it was replaced by St Marys (Church of Ireland ) LTC. It's previous name was Garden Vale LTC. In 1965 the club moved to Athlone GAA grounds and was known as Athlone GAA Tennis Club. In 1991 the name was changed to Athlone Tennis Club and became independent from the GAA club even though it is still based on their grounds. In 1999 the club signed a 25 year lease with Athlone GAA before applying for lottery funding to install floodlights and all weather playing surface. The next chapter may soon be written. Source of information: The History of Irish Tennis, Volume 3, Page 1477 by Tom Higgins.